Managing medication inventory in acute care settings is challenging under the best of circumstances. When drug shortages occur, the challenge magnifies and may impact patient health and safety. Hospital and health system pharmacists are responsible for managing all medications throughout the facility, and serve a critical role in delivering quality patient care. Optimizing drug inventory throughout a facility is a critical strategy the pharmacy team can use to better deal with drug shortages. 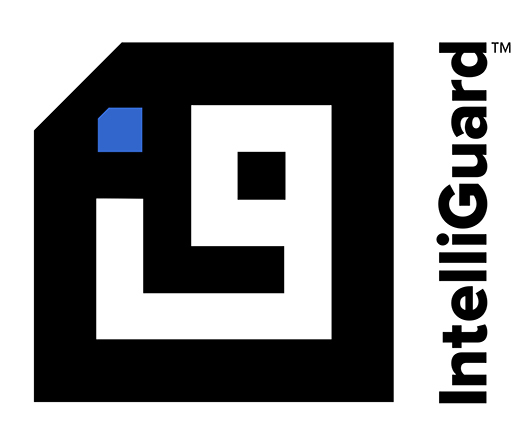 Innovative technologies such as Intelliguard® RFID provide the visibility to make this improved inventory management possible. Drug shortages are common in today’s environment. According to an article titled “Drug Shortages Forcing Hard Decisions on Rationing Treatments” in the New York Times “In recent years, shortages of all sorts of drugs — anesthetics, painkillers, antibiotics, cancer treatments — have become the new normal in American medicine. The American Society of Health-System Pharmacists currently lists inadequate supplies of more than 150 drugs and therapeutics,” As the article went on to state: “Many drugs are made by only one manufacturer, so production or safety problems at a single plant can have big effects.” And when shortages occur, medical professionals are in the difficult position of deciding how to offer treatment, and to whom. The pharmacy is responsible for dealing with any inventory challenges that may arise, and ensuring the right drugs are available when and where they are needed. While they cannot control drug shortages, they can optimize existing drug inventory to reduce waste and maximize effective use. Radio frequency identification (RFID) technology wirelessly reads and captures information associated with a tag, attached to an object (i.e. medication.) The object-level tracking and visibility benefits of RFID have been widely used in the defense, manufacturing, retail and logistics industries. Hospital pharmacy automation using RFID is growing rapidly, often driven by greater emphasis on patient safety, staff efficiency and inventory cost control. RFID healthcare technology such as the Intelliguard® Kit and Tray Management System is used in health system pharmacies to provide item-level visibility to all medications throughout a facility. When a kit or tray is returned to the pharmacy for refilling, it is placed in the Intelliguard® Kit and Tray Management Workstation where the system reads all product inventory and compares it against the precise PAR level and formulary specifics of that kit or tray. Upon restocking, the system provides alerts for soon-to-expire medications. In addition, at any point during their day, a pharmacist can run real-time reports on all medications, down to the location and details for each vial, including lot number and expiration date. 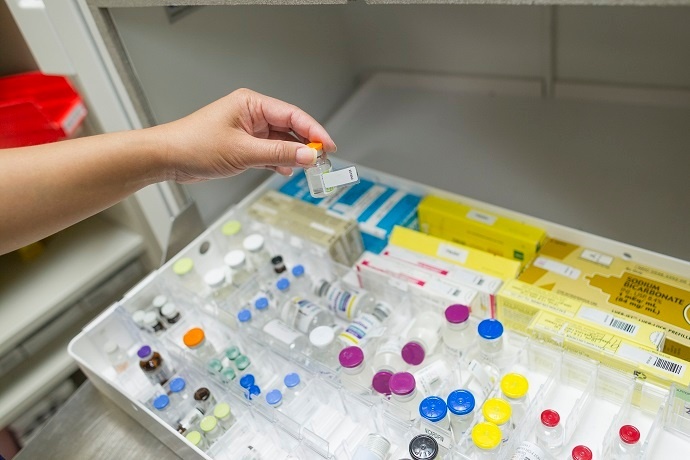 Beyond reducing waste and helping to more effectively handle drug shortages, hospital pharmacy automation with RFID eliminates errors, saves staff time and controls costs. Please contact us to discuss how we can assist your facility in dealing with critical inventory management challenges.